Why are Lionfish a Problem? What Does It Taste Like? Lionfish Facts: The 10 Most Common Lionfish Myths Busted! If you found the information on this site to be useful, please consider supporting us by donating a dollar or two to help us out with our awareness campaign. You can also call the Poison Control Hotline at 1-800-222-1222. 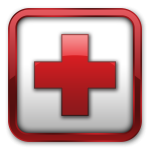 The Aquatic Toxins Department is available 24 hours a day. Click here for more information about treating a lionfish sting. 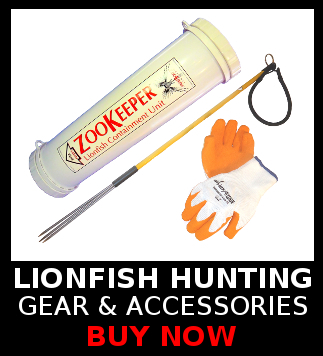 The lionfish hunters at Lionfish.co represent sportsmen with a passion for the conservation of reef and native fishes by hunting non-native lionfish in the Western Atlantic Ocean, Caribbean Sea and the Gulf of Mexico. 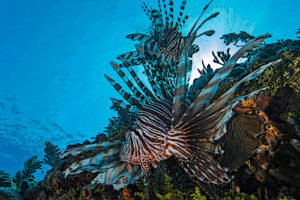 We promote the removal of non-native & invasive lionfish through education, outreach and direct-action hunting campaigns. The total eradication of Pterois volitans (Red Lionfish) and Pterois miles (Common Lionfish or Devil Firefish) from Atlantic and Caribbean waters to protect native coral reef ecosystems, local fisheries and the people who depend on them. © 2019 Lionfish Hunting. Theme by Solostream.